A pharmacist has been going above and beyond the call of duty in order to ensure that her customers have access to their medication. Andrea Cusack works at the Lake Odessa Pharmacy in Michigan. Though the pharmacy regularly runs a free delivery service for their customers, they were recently forced to rethink their delivery tactics after a snowstorm left several of their clients stranded in their homes. Instead of allowing these people to forego their life-saving medications, however, Cusack and her 15-year-old son fired up their snowmobile and delivered the medications themselves. 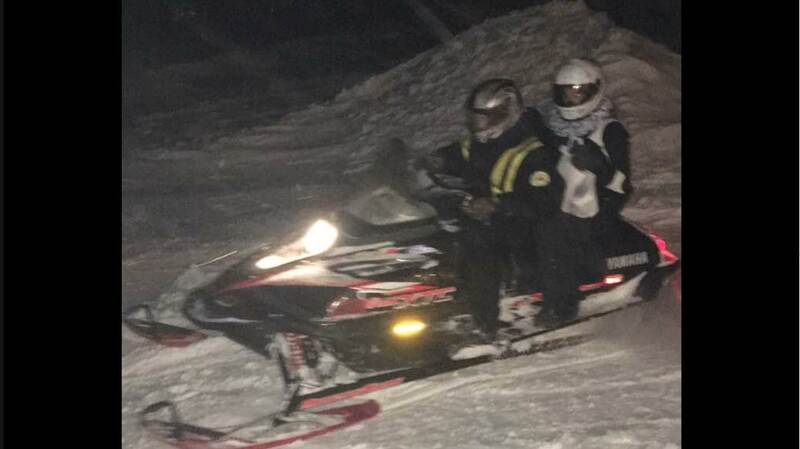 Cusack’s husband posted a photo of the dynamic dup on the snowmobile to social media where it received an outpouring of praise from appreciative readers – and Cusack was overwhelmed with gratitude for the encouragement. “I can’t believe it. I truly care about people,” Cusack tearfully told WXMI. “I want to help them and to see the response around the community is overwhelming. “We’re here to serve our community, and if somebody needs our help getting something we’re going to help ‘em,” she added.